Short-term and daily parking is available in parking lots 1, 4, 5, 6 and 7. Long-term parking is available in parking lot 3. 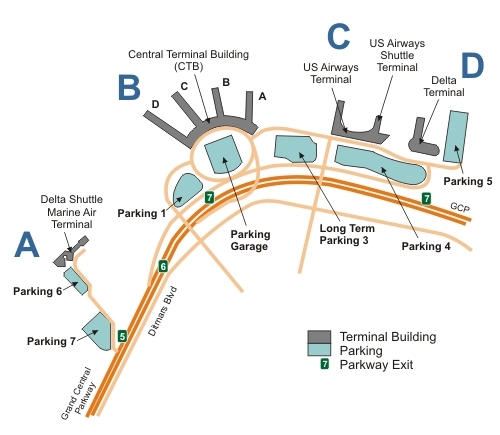 Metered parking is available at the Marine Air Terminal. Daily lots can be used for up to 30 days for parking at the daily rate. No long-term reduced rates are offered in daily parking lots. $5 for each 8-hour period or part thereafter.